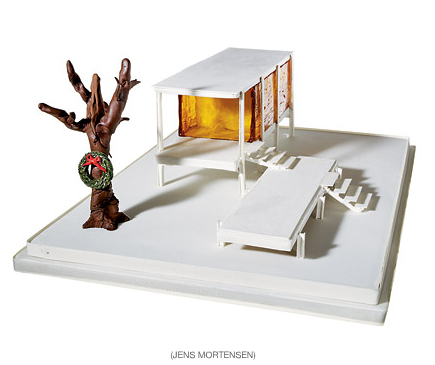 This Gingerbread version of Farnsworth House – Mies Van der Rohe’s modern masterpiece. It took approx. 25 hours to construct the fondant-covered walls, poured-sugar glass windows, and sugar-paste beams and staircases. This Gingerbread House costs $4,320. Read more here.